“Ancient Sounds ~ Modern Healing” takes you on an extraordinary journey filled with secrets from age-old cultures and today’s scientific community. They reveal the immense power and healing capabilities of sound. Three-time author, Jill Mattson, guides us along this life-altering adventure using the vast knowledge that she’s accumulated during her intense 17 year study of Antiquities and Secret Societies. These Secret Societies utilized sound as a profound tool to transform consciousness to improve mind, body and spirit. Alter a person’s brain waves; Increase relaxation; Eliminate stress; Aid the healing process and Help us to become happier, healthier and more productive. 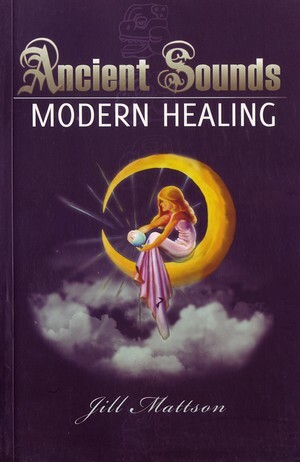 After experiencing this fascinating voyage, the reader will hold sound in an entirely new way, and use “sound & music” to improve over-all health, emotional healing, intelligence, energy and well being.